Our tournament dates and location have been set! Please sign up today to compete in this years tournament. All teams are guaranteed 4 NWBA sanctioned games. All games will be played at the University of New Mexico Johnson Gym. Special Hotel Rates available at The Hotel Cascada. NWBA Championship teams: Register for the 2017 Duke City Classic today! Be part of the tradition. We have great sponsorship opportunities available! Gain exposure and contribute to a great event and help bring awareness to adaptive sports. Find out more by clicking HERE or phone us directly! Registered teams and schedule of games will be announced closer to the tournament. What is the Duke City Classic? 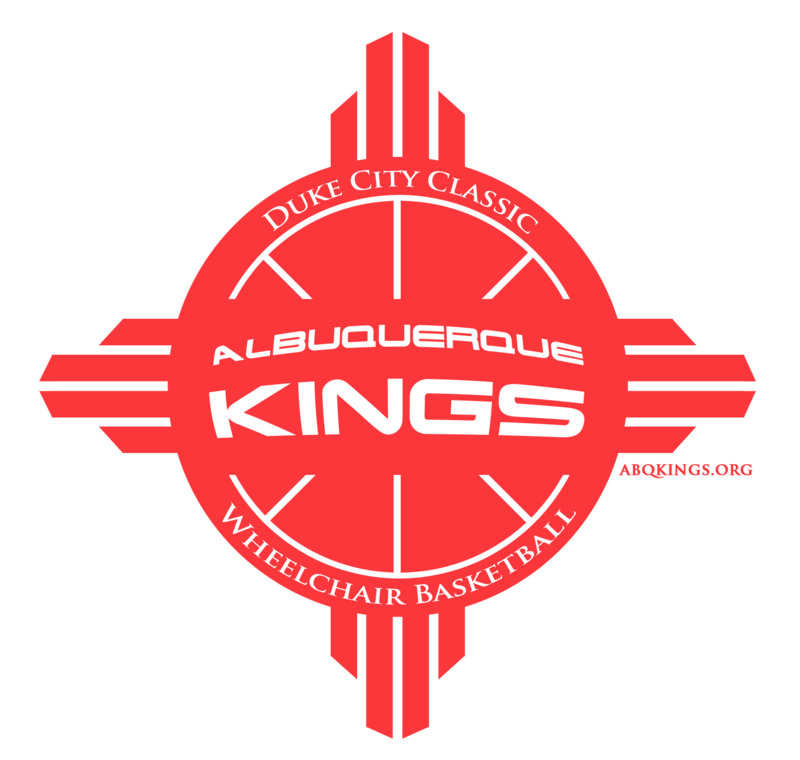 The Duke City Classic is Albuquerque's only wheelchair basketball tournament. When is the Duke City Classic? For 2017, the tournament will be held on February 25th-26th. This tournament is held once every year. 2010 was the inaugural year for the tournament. Where is the Duke City Classic? For 2017, the tournament will be held at the University of New Mexico Johnson Gym. This is a multi-court gym, with locker room access. We appreciate the continued support of the University of New Mexico. Entry to the gym is from the outside ramps on the SouthWest Side of Johnson gym. This is right next to the on campus paid parking structure. Look for the signs! Why create the Duke City Classic? As the Albuquerque Kings are the only division 1 wheelchair basketball team in New Mexico, we have to play all of our tournaments outside of the state. In response to many of our local fans and supporters, we are happy to provide a tournament for them to come out and support their team. We also hope to further increase the ever growing popularity of this sport and continue to support the growth of the NWBA. How to become a Sponsor of Duke City Classic? Becoming a sponsor is not only easy but essential to the success of this event. We are happy to offer multiple levels of sponsorship which can include being printed on the shirts we give the players and sell to the fans, hanging up your company name at the event, having a booth at the event, and website presence. Also, if you would like to become a long term sponsor (click here for more info) we can offer advertising space on our jerseys and wheelchairs.